Next ›Iowa City BrewFest is Saturday! I’ve been trying to get through a six pack I bought last night. I must say that I’m not really enjoying this beer too much. Boston Beer puts out a phenomenal festbier as do many other craft breweries, but this one falls short. I’ll need to pick up a really solid Octoberfest beer before season is out so I’m not left with this taste in my mouth until next fall. I really like this, I have a bottle of it now. It may not be as bold as some Oktoberfests, but put your expectations about the class aside. I like the carbonation, the toasty caramel tones and the clean metallic ping. At 5.8 ABV, it ain’t no Miller Lite. Great insight. 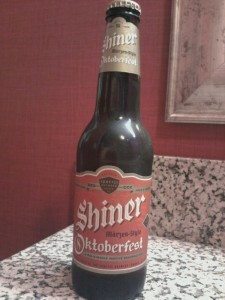 I think that as Octoberfests go, the Shiner version is in my top 5. 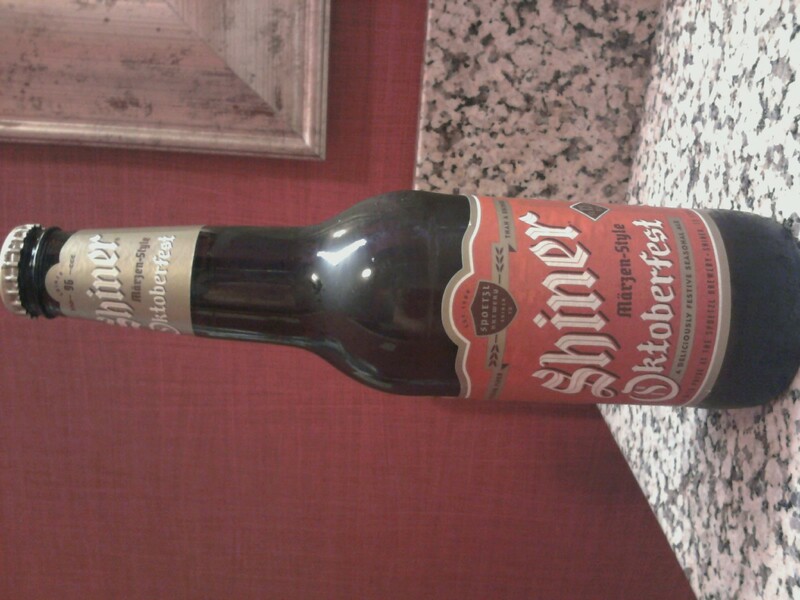 As with every other Shiner beer, it is very drinkable. Cheers!